Midway through Season 2 of HBO’s Westworld, one character muses, “It’s quite a story you gave them … and one hell of an ending. How did all these disparate threads come together to create this nightmare? If we figure that out, we’ll know how the story turns.” I’ve been turning that line over – not solely for its matter-of-fact ambivalence, but what it says of Westworld overall. The HBO drama, seemingly engineered for the Reddit puzzle-box crowd, strung Season 1’s disparate threads into a twist that re-contextualized much of everything we’ve seen, and Season 2 seems uncertain how to keep that story turning. The April 22 premiere picks up largely with the premise of the 1973 film, as guests cower before hosts now free to gun them down, while technicians and park security try desperately to make sense of the malfunction. And because HBO’s rendition takes place from the Hosts’ perspective, layered atop that chaos is Evan Rachel Wood’s Dolores – her personalities united in full monologuing supervillain mode – trying to determine their uprising’s next step, and Maeve (Thandie Newton) defying her programming for a multi-park quest to recover her daughter. Caught somewhere in between is Jeffrey Wright’s Bernard, who – as HBO’s spectacularly patronizing Rickroll revealed – has foggy memories* of the uprising, and isn’t sure what side he’s on. Arguably, Bernard and Dolores have traded places; the former an innocent host struggling to reconcile his identity, and the latter an authority figure with a God complex and questionable morals. Like Bernard himself, Westworld Season 2 feels somewhat rolled back from the awakening of Season 1. Ten straight episodes (I’ve seen the first five) of robot rampage would be too linear for a sprawling TV cast in need of a renewable premise, so new setbacks are required. Evacuations that won’t commence until X item is recovered. New layers to a Delos conspiracy that seems implausibly absent from Season 1. Hosts following their narrative regardless of the awakening, and thus standing in the way. Even Ed Harris’ grizzled Man in Black gets all of ten minutes to appreciate the park’s lifted restrictions before being saddled with another enigmatic quest and a familiar sidekick. Somehow, he even finds time to slip into those classic gunslinger threads. Season 2 seems unwilling – or maybe even lacks confidence – to tell stories without memories, flashbacks or more familiar games. It’s in that scramble to figure out the show’s new narrative that the absence of relatable or vulnerable (read: human) characters is more apparent. The Dolores who yearned for freedom and identity has been replaced with a remorseless killer who believes some Hosts are more equal than others. Gone is the wide-eyed William we knew; replaced in flashback by a Jimmi Simpson much more aware of a need to look and sound like Ed Harris. 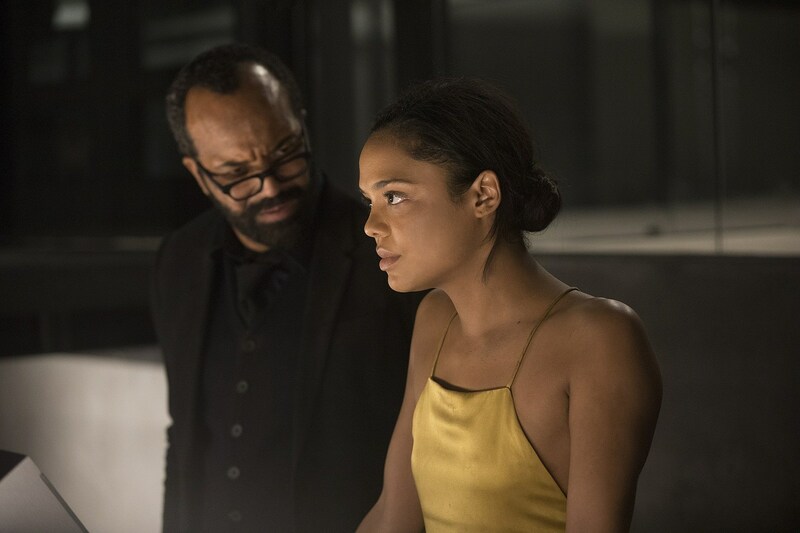 Harris himself does bring some new shades to the elder William as his appreciation for the hosts grows, but Season 2’s most endearing narrative is perhaps Maeve’s quest for her daughter. It’s seemingly redundant; we have no idea what the girl remembers, why it requires a trip to Shogun World* or why it matters against everything going on in the park, but there are enough oddball pairings and genuine surprises to make use of the diversion. If nothing else, Season 2 does try to grapple with why Hosts – these orphans of intelligent design – feel or care about human attachment. There are complex philosophical questions of humanity and emotion that sound great coming from Anthony Hopkins’ mouth, but end up a bit less compelling in practice. *At some point, we do need to engage with the show’s issues of race. Not only is it coded into Westworld’s “Cowboys and Indians” design, but Shogun World feels less like an opportunity to explore Japanese film genres and more like fetishizing other cultures once you learn the nature of yet a third park. All of this isn’t to say Season 2 is any less of what made Westworld so engrossing in the first place, including rich, gorgeously-photographed vistas now augmented by snowy forests and a glimpse of the world outside. The action scenes of the first season were few and far between, but now include the odd Game of Thrones-style siege or even a few swordfights. Complex meditations on man’s relationship with technology and the battles of creator vs. creation are now cloaked in lavish biblical imagery. And as much as I loathed decoding endless mysteries last year, it’s hard not to get sucked back in when Season 2 unravels the Hosts’ true purpose, which may belie new secret Hosts or false memories. 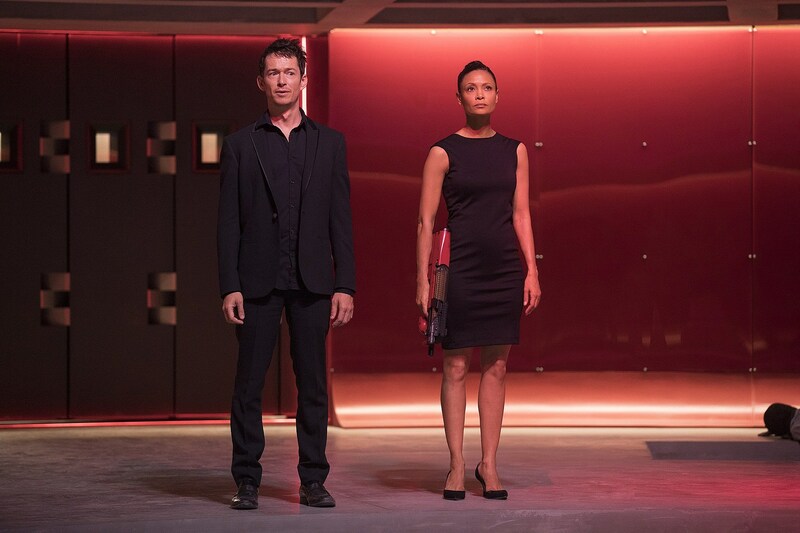 It’s common of such high-concept debuts to seem less steady in Season 2, and better that Westworld retreats into familiar habits than disastrously attempts another ginormous twist of perspective (looking at you, Mr. Robot). Talk to me again after ten more weeks of obsessive Redditing, but – for the moment – it’s hard to obsess over minor glitches when Season 2 is full of such polished delights. I will say that the reveal of Shogun World’s true nature is among the funnier, better-executed surprises of the series to date. Both purposeful and unintentional LOST referencing: a clear homage to one of the most famous cold opens, and superfluous flashbacks of events already outlined in prior seasons. Most, if not all of Season 1’s lingering questions will get some update, but I question the impulse to revisit characters largely tossed aside by the first season. This will sound weird, but one shot of a horrific battle is straight out of Wes Anderson movie. Cue the inevitable Wesworld parody. Might be an unfinished edit, but I swear some of these episodes had commercial act-breaks. Westworld Season 2 will premiere on Sunday, April 22 at 9:00 P.M. on HBO.